Thank you to everyone who came over to say hi at last night’s Digital Drinks event in Salisbury. There was a great deal of interest in First Coding’s courses and app design workshops and it was a lot of fun showing off projects from past pupils. Last week saw The Old Fire Station here in Salisbury host another Digital Drinks event. Here digital curious people of all ages, abilities and interests get to meet up and discuss ideas over drinks. 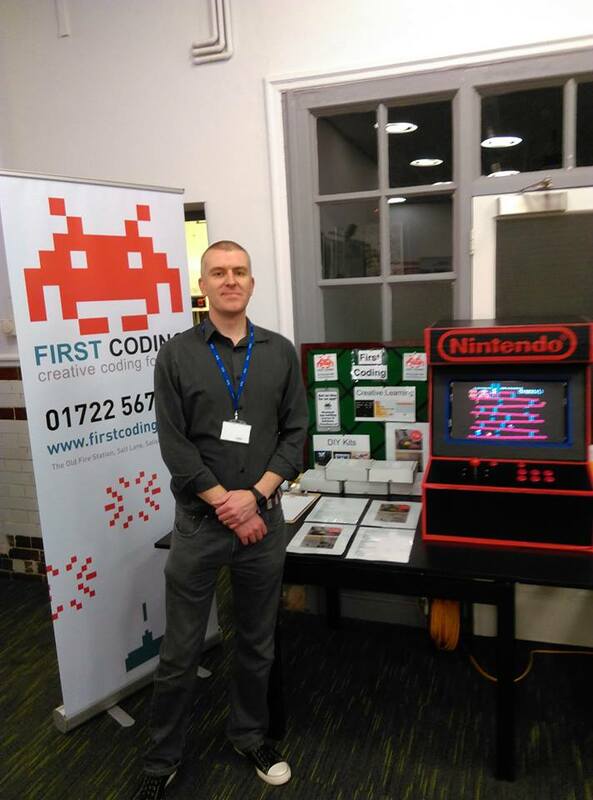 This was also the perfect venue to showcase First Coding’s courses that start in January. 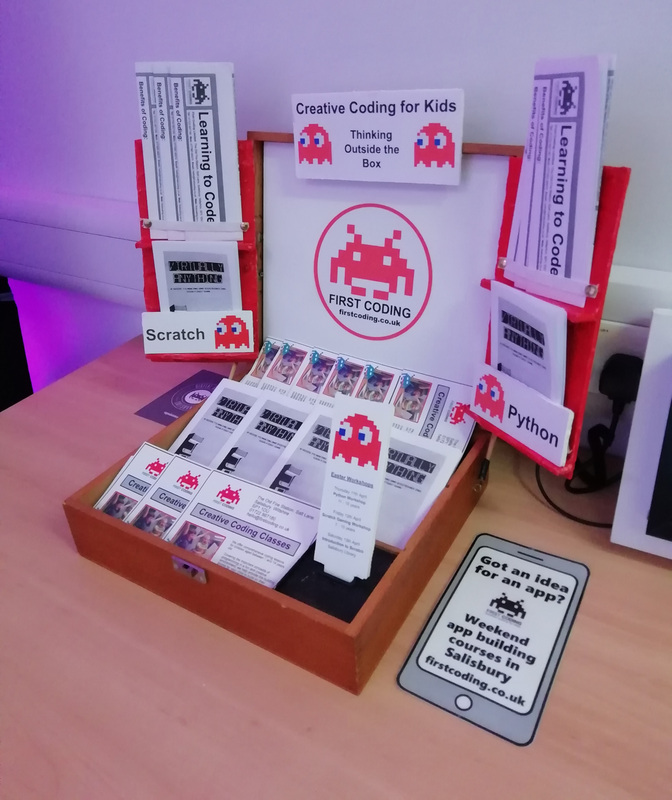 As a way to draw people in I brought along the arcade cabinet that I made (the build process being detailed here) and loved talking to visitors to my table about providing the younger generations with the building blocks to create their own ideas using Raspberry Pis. I was also fortunate enough to attend the talk given by Jeremy Heath-Smith, executive producer of the Tomb Raider games and found his account of his ups and downs in the gaming industry to be very honest and incredibly inspiring.